SMEs, not used to complex paperwork and laws, will have to reinvent themselves if they have to survive under the GST regime. Vijay Prakash Jain, 75, a trader and national general secretary of a traders' association, the Bhartiya Udyog Vyapar Mandal, has not let his physical frailties weaken his resolve to fight for traders. Jain, who trades in groceries, chemicals and dry fruit, and also runs a travel and tourism business from the narrow lanes of Daryaganj in old Delhi, is gearing up for another battle - adapting to the Goods and Services Tax or GST. GST provisions, he says, are so complex that even though all the processes are online, he will not be able to file returns on his own. He will have to hire a chartered accountant. "Our compliance cost rose during the shift from sales tax to VAT (value-added tax). Now that we are going from VAT to GST, it will go up again," he says. Like Jain, many small traders and owners of micro, small and medium enterprises, or MSMEs, are facing the uphill task of preparing for the new GST system that will come into force from July 1. This is being called one of the biggest tax reforms that will make businesses stronger and tax administration & compliance easier. It will also plug indirect tax leakages by bringing into the formal economy a large part of the informal sector, including small traders and many MSMEs. However, for MSMEs and small businesses, adjusting to the system will involve huge costs (see Challenges Ahead). They may even lose business, as the new system of seamless input credit encourages companies to do business with players whose compliance record is perfect or at least near perfect. The system has been designed in such a way that unless the records submitted by all the parties in the supply chain match, no party will be able to claim input credit. For now, though, this is not the biggest headache for MSMEs. GST has been designed keeping in mind large businesses and ignoring the problems that small businesses may face, says V.K. Bansal, President, Federation of Indian Small Business. The biggest hassle is filing three returns a month. "Few MSMEs have the technological wherewithal to file three returns a month and then revise them in case of any error within the stipulated time. Many MSME owners still do not have Tally packages," says Bansal, the promoter of Nexgen Infosystem and Nexgen Exhibitions. Tally is one of the most commonly-used accounting software used by small businesses in India. When GST was conceived, as a one-nation-one-tax, ease of compliance and administration were supposed to be its essence. What the country has got is far more complex with compliance requirements that are cumbersome if not draconian. This was, say experts, made worse by the rush to pass different rules under the Act so that the new regime can be rolled out from July 1, 2017, just two-and-a-half months from now. 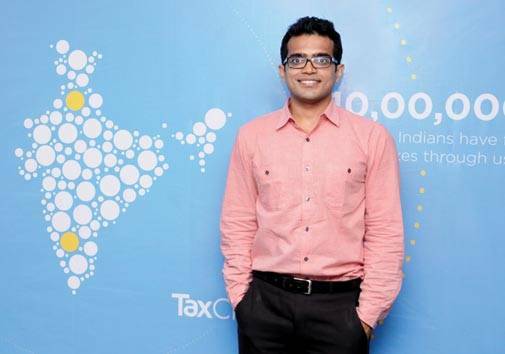 Archit Gupta, CEO and Co-founder, ClearTax, says most small businesses are unaware of the enormous compliance burden GST will bring - right from raising invoices to filing returns. ClearTax is offering a bouquet of GST compliance and advisory services. "GST provisions are fairly complex and, therefore, for smaller businesses to read, interpret, understand and apply them will take a bit of time. They are not used to such level of complexities. Even smaller chartered accounts who SMEs consult are struggling to understand the laws," says M.S. Mani, Senior Director, Indirect Tax, Deloitte India. Under GST, all taxable entities will have to file three monthly returns and one annual return, all within a stipulated period. One return is for outward supplies of taxable goods and/or services effected, another for inward supplies, and the third one is for finalisation of details of outward supplies and inward supplies along with the payment of the tax. This comes to 37 returns a year. And this is for an entity that operates in only one state. If the entity has operations in more than one state, the number will multiply. Every taxpayer will have to get itself registered in each state where it has an operation. In comparison, VAT returns are filed quarterly (for proprietary firms,limited liability partnerships and partnership firms) and service tax returns once in six months. GST will replace both VAT and service tax. Filing three returns a month is not the only challenge. Each and every invoice raised will have to be uploaded on the GST Network (GSTN), the company floated to build and maintain the IT infrastructure. This means digitisation of all invoices. Also, the invoicing mechanism may have to be changed; this is especially true for MSMEs that are right now exempt from excise or VAT due to higher turnover thresholds in the current system. Another problem is that tax payers will have to specify the place of supply in the invoice. Tax experts say determining the place of supply is a tedious job. Product coding through HSN (harmonised system of nomenclature) is also not going to be easy. HSN is an internationally standardised system of names and numbers to classify traded products. "At present, MSMEs exempt from excise duty because of turnover of less than `1.5 crore issue invoices in a simple format - they give details of products and VAT applicable to them. But after they come under GST (many will, since the threshold for GST is `20 lakh), they will have to mention both the HSN code and the place of supply in invoices," says Naveen Wadhawa, Deputy General Manager, R&D, Taxmann. MSMEs which come under GST will have to get their accounts audited. Many are right now availing of the benefit of the presumptive taxation scheme under which any entity with annual turnover of up to `2 crore is not required to maintain books of account and are taxed at 8 per cent of their turnover. Now, such businesses may not only lose the exemption, but will also have to maintain books as per the country's accounting rules. Also, the entire process - registration, raising of invoice, filing of returns and claiming of refund - will be online. Small businesses may have to either buy software solutions such as Tally and Marg or take help from websites such as ClearTax. All this will add to the cost of running the business, though GST Network has developed an offline tool for these tasks. The tool can be used for uploading invoices, downloading GST return forms and copying purchase data of suppliers and buyers. "While we do not provide special services for any particular category of taxpayers, our offline tools will help SMEs. Any taxpayer can download and use them to upload invoice data and download GST return forms. 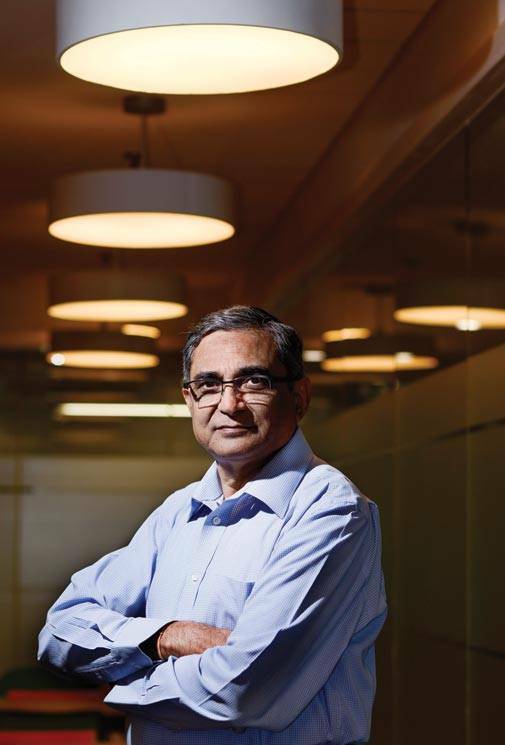 While large corporations will have their ERP (enterprise resource planning) systems, the smaller ones can use this tool," says Naveen Kumar, Chairman, GSTN. A buyer will not be able to claim input tax credit unless the tax charged in respect of such supply has been paid by the seller. So, an entity that has paid tax will have to depend on compliance by its suppliers to claim tax credits. This means if the supplier fails to pay tax, the buyer will not get input credit. This means that the supplier which collected tax from the buyer has to deposit the tax every month. The credit will also get blocked in case of any mismatch in returns filed by the seller and the buyer. "Imagine the problem a small buyer can face in getting a large seller to file a return or getting it corrected," says Naveen Wadhawa of Taxmann. That's not all. The whole process of getting input credit itself takes a long time. If tax is paid in the first week of the month, the input credit will not be available till the 15th of the next month, the deadline for filing returns. This could mean blocking of capital for over a month. Also, there are three different taxes under GST - IGST, CGST and SGST. Payment under the wrong head means the entity will have to first make payment under the correct head and then claim refund for the extra tax paid. The condition for claiming input tax credit will put many small entities at the risk of losing business. Since the law put the onus of ensuring that suppliers pay tax and file returns on time on buyers - as non-payment will delay input credit - large buyers will shift their businesses to more compliant suppliers. Smaller enterprises risk losing business to bigger players that have the wherewithal to better comply with the GST rules. Sanjay Bhatia, President, Ficci-Confederation of MSME, says claiming input tax credit itself will become a cumbersome process as many small suppliers may not be tech-savvy enough to file returns accurately. Because of their non-compliance, the buyer will suffer, he says. This, he says, will hit the business of small dealers, as nobody would like to deal with small businesses due to fear of non-compliance by them. This will lead to more dependency on larger players and, therefore, create a situation of monopoly in the market, he says. 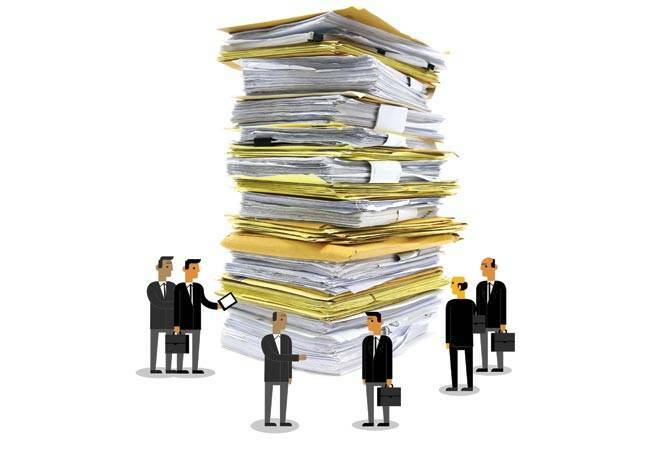 There is another provision that may lead to loss of business for smaller entities. The Central GST rules say if the supplier is not registered under GST, all the tax the supplier is liable to pay has to be paid by the buyer. Now, any small business with a turnover of less than `20 lakh is not required to be registered under GST. This means no buyer would like to do business with it. "This will discourage registered units/companies to buy from these unregistered units. This will wipe out these micro & small players," says Sanjay Bhatia. The MSME sector and the trading community are the backbone of our economy. The MSME sector alone accounts for 40 per cent of our gross domestic product and offers employment to over 130 million people. GST, with its many complexities and compliance norms, may have a disruptive effect on it. Only time will tell how well it copes with the changes staring at it.